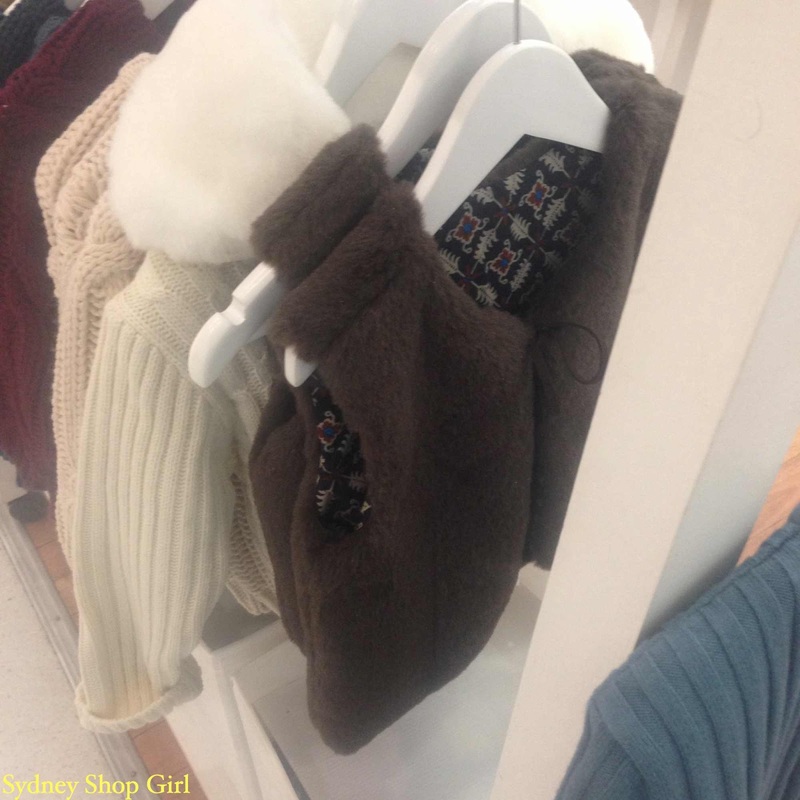 Sydney Shop Girl: Faux Fur Finds. 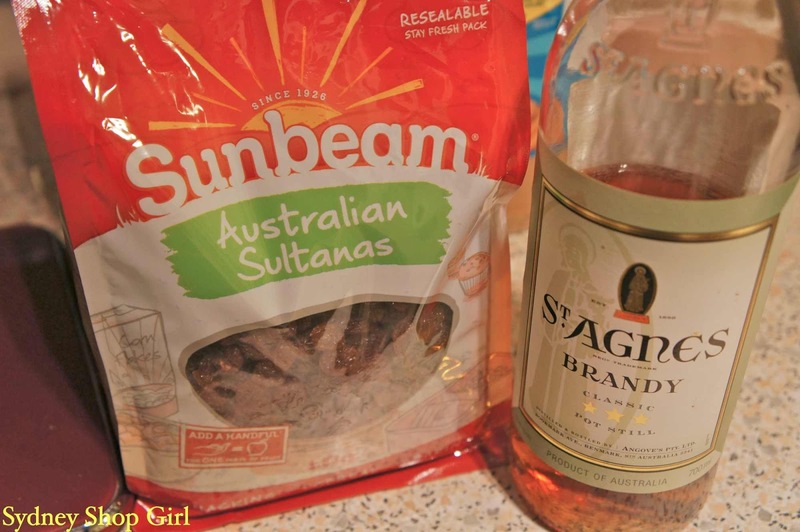 Sultana Cake Is the Only Kind of Fruit Cake. Faux Fur Finds. 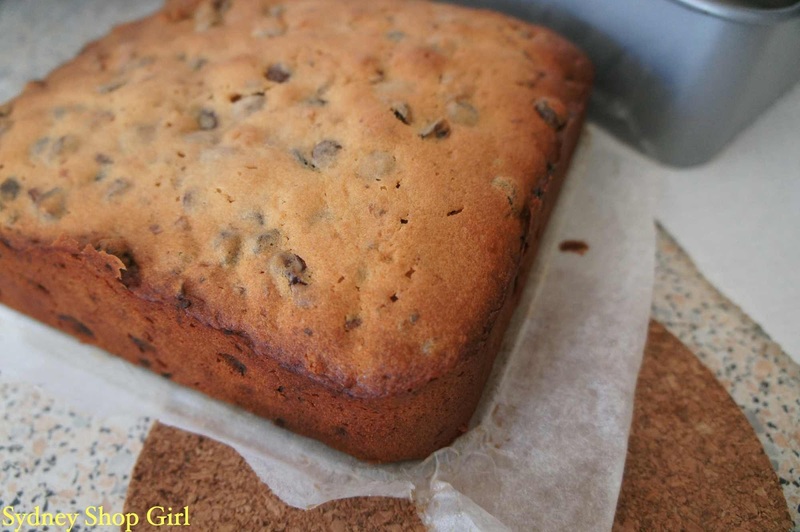 Sultana Cake Is the Only Kind of Fruit Cake. It was only this time last week that I was having a little whinge about the lack of faux fur vests of this calibre in women's sizes. 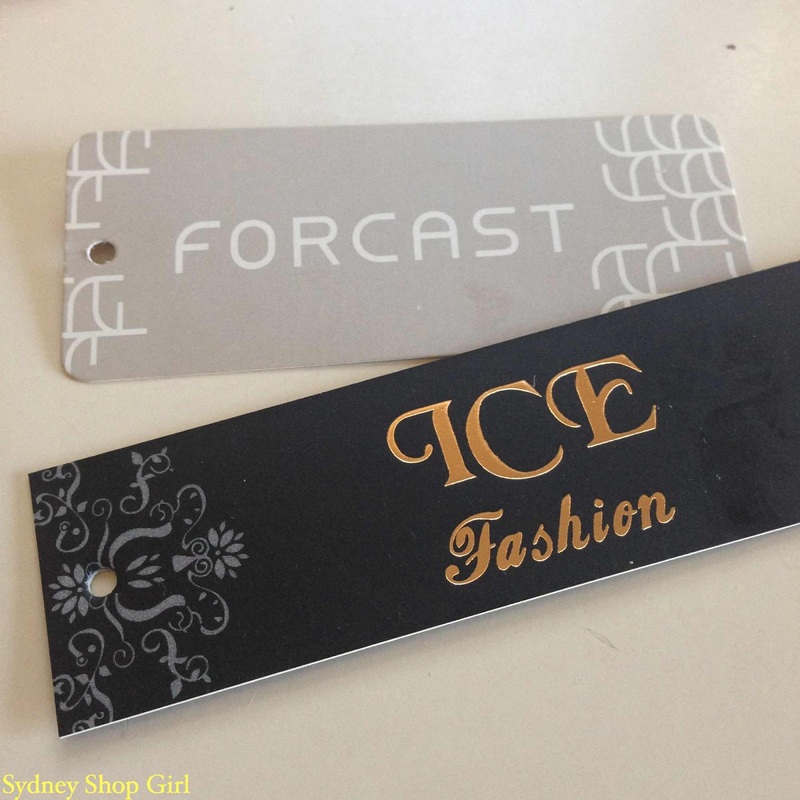 Well, readers, the high street obviously reads this blog and makes my wishes their command because Forcast and Ice have made my dreams come true. I'm linking to the online stores for both labels but I couldn't find exactly what I bought online. For Sydney based readers, I made my purchases at Top Ryde. Just before I caught the afternoon session of 'Jersey Boys' because when you see fake fur that fits and flatters your skin tone, you don't wait until after the movie. First off the rack is this hip length Wendy vest in brown from Forcast - on sale at the moment for $49 down from $69.95. It has invisible fasteners down the front and is fully lined. Forcast Wendy vest in brown - currently on sale for $49. It sits around hip length at me and is going to be replacing the Target one I somehow managed to buy 3 sizes too large last year. I blame the then Baby SSG because he was hurting my ears at the time. Ice vest in black (also available in brown) - $45. 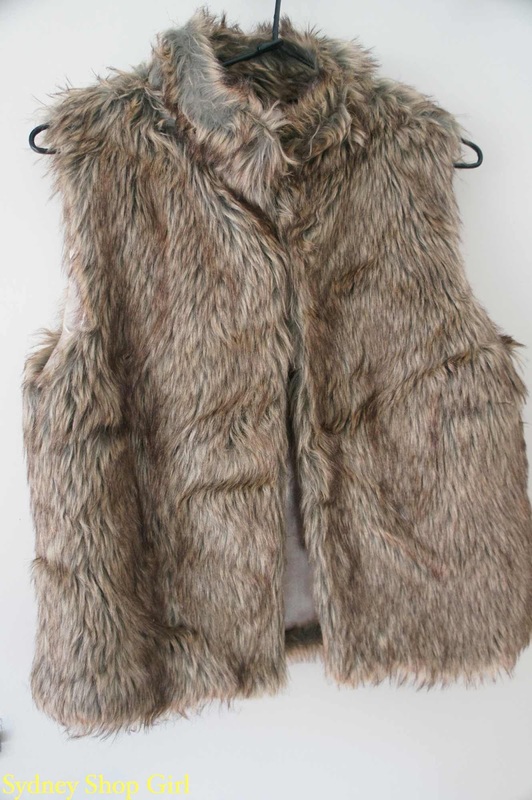 This vest from Ice ($45) has a fold down collar and sits around the upper thigh on me. Again, fully lined and with invisible fasteners. 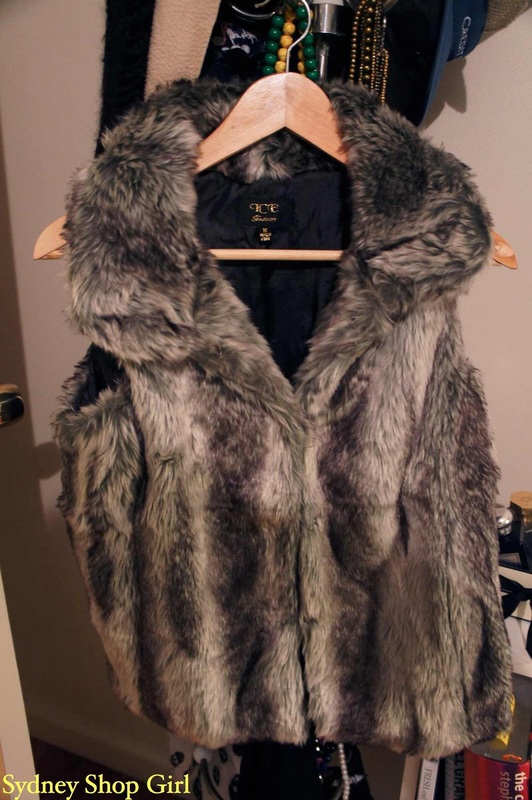 This particular vest also comes in a brown colour way. In addition, there is a pure black vest that is collarless which I saw online and in store for $39, I think. They are both very warm and probably the nicest examples I've seen at the 'nice price' price point this year. Looking forward to wearing mine over dresses and with jeans this winter. 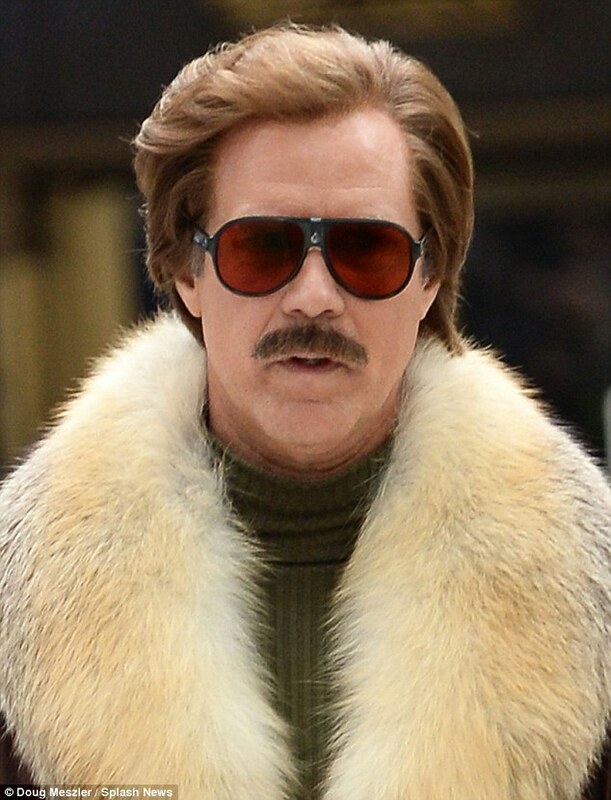 Hope those hot fashion tips help you all stay as classy as Ron Burgundy, readers. I was so excited to have found my vests that I poured myself a brandy. Sort of. 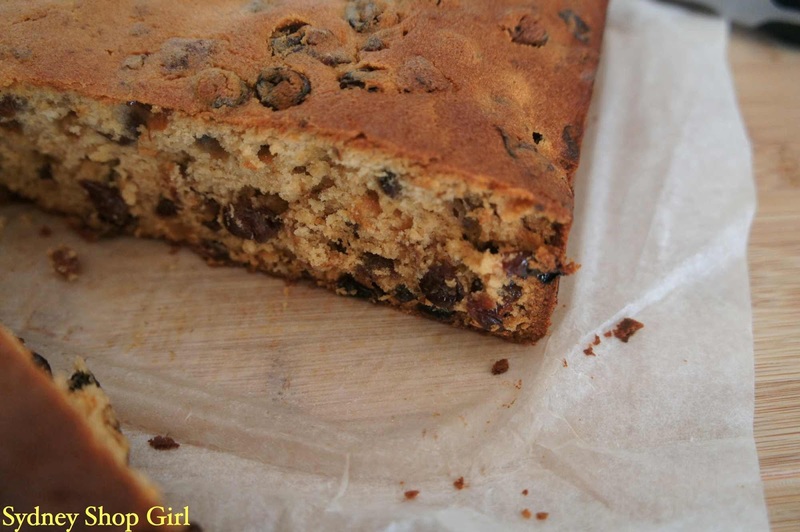 I remember showing a photo on the blog the other week of a sultana cake I made using my Beater Blade. I made it again this weekend using this recipe from Best Recipes. It's a very moist and rich cake that keeps well. 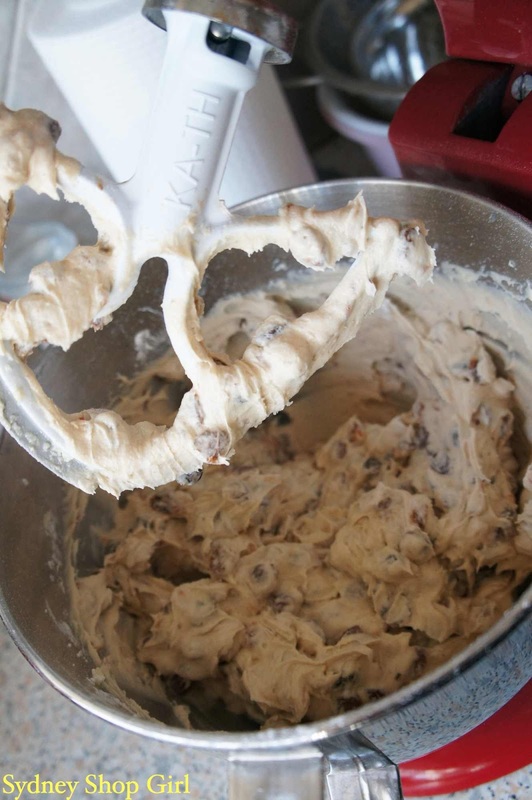 The cake batter is buttery with just the right balance of almond and vanilla. It's also incredibly easy. When I made the recipe today, I decided to add two tablespoons of brandy to the water in which the sultanas simmered which is something I think I will keep doing every time I make this cake. The brandy gave the cake a mellow taste and made it smell fabulous. Plumped up sultanas simmered in brandy and ready to go into the cake batter. I'm not a huge fan of traditional fruit cake - the peel, the nuts, the almond meal. 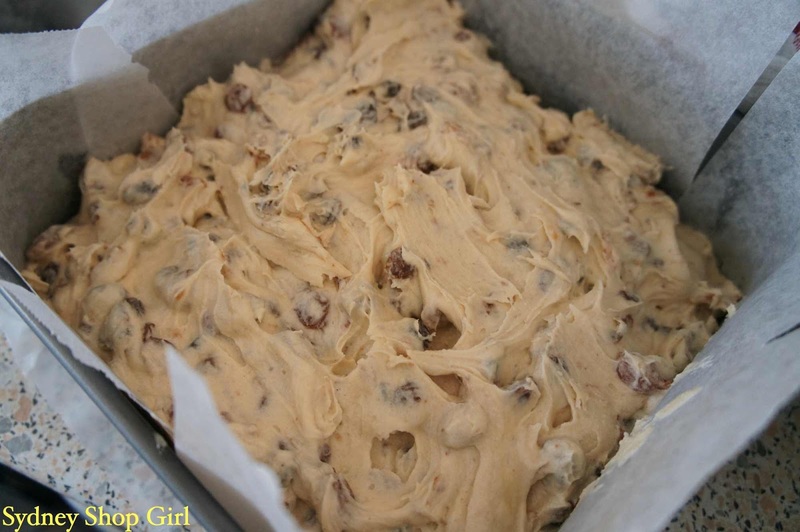 However, I do love a good sultana cake and if I had my way, rich sultana cake would be the official cake of Christmas. It's only six months to Christmas so perhaps I'd better get my campaign started soon. 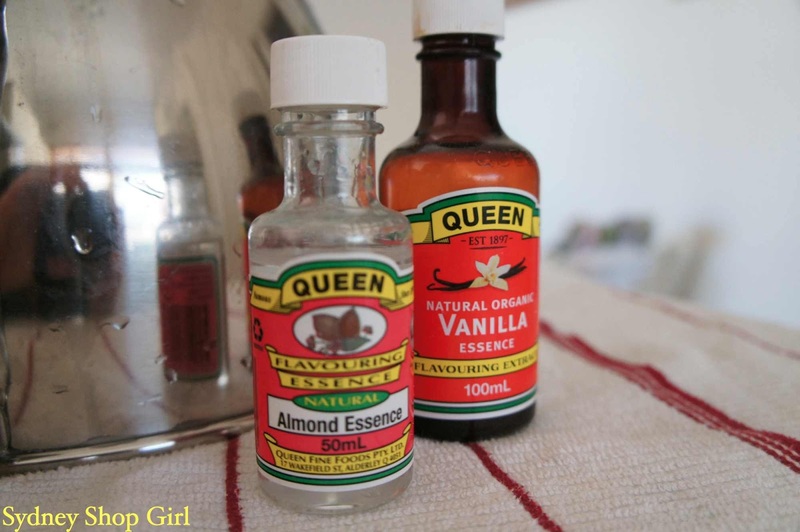 I found adding the half teaspoon of almond essence the recipe calls for gave the cake too strong a taste so I went down to a quarter teaspoon this time round. I was generous with the vanilla, as always. The Beater Blade definitely cut down the time required to blend the flours and fruit into the creamed butter and sugar. My Beater Bladed batter was also very light in texture going into the pan. Which was pretty impressive given the fact that the cake is pretty heavy on the fruit and requires almost a whole stick of butter in the batter. I over baked my cake just a tad but this ended up making it a little easier to slice than the last time. Look at all that fruit and not a bit of orange peel or walnut in sight! Perfect. As rich as the cake is, it still has a wonderfully light texture. The Ikea effect - the phenomenon where a customer enters the store with only one small thing to buy on their list but inevitably leaves with an additional item of greater value. But only after they've sat in the cafe with a cup of tea for half an hour. It was just the thing to fortify me for the second trip I had to make to Ikea today. I was there at lunchtime buying a new night light and bathroom step (already!!! 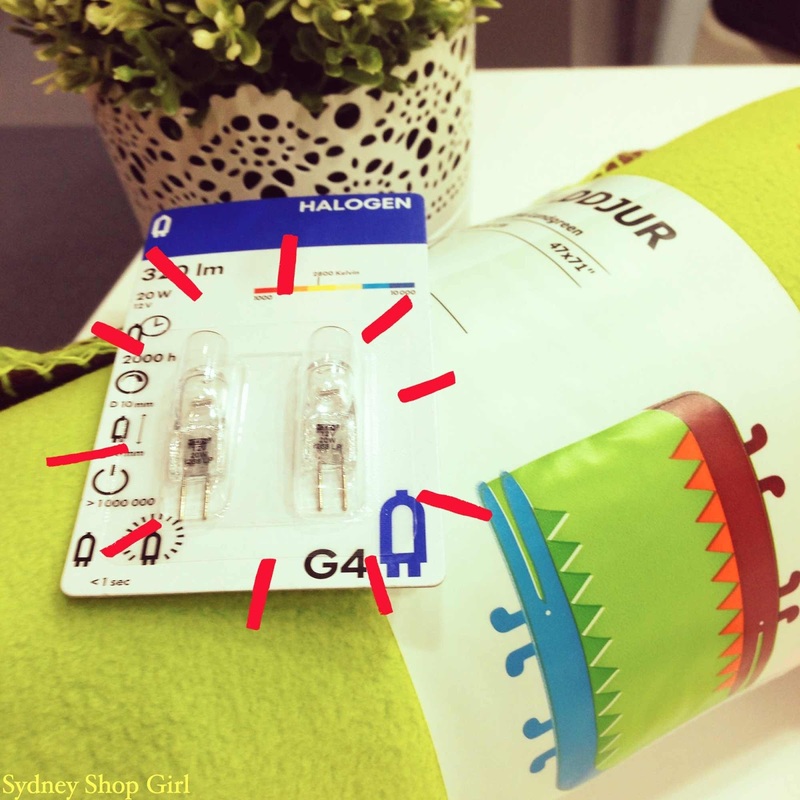 Cue a huge sigh from me) for Toddler SSG but forgot to buy the 20W halogen bulb with a G4 configuration that no one else but Ikea seems to stock. So I had to go back in today otherwise the week would get the better me and the lamp would be bulbless until this time next year. Turned out to be a worthwhile trip because I also found a blanket for Toddler SSG's big boy sleeping arrangement. Each of the crocodile patchworked onto the fleece blanket have four legs that dangle off the edge of the blanket. Toddler SSG is big on blankie dragging around the house and I can just see him taking these crocodiles for a walk when he wakes up. Hope you're having a lovely weekend and that the new week will be kind to you. I'm off to Perth next weekend so there will be lots to tidy up at work this week. Grant me strength and calm!